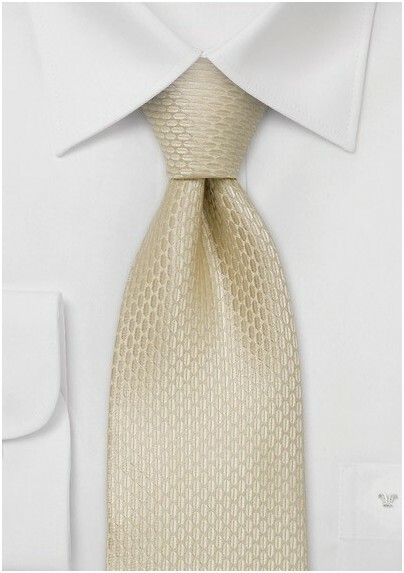 This formal necktie is one of our best selling cream colored wedding ties worn by groom and groomsmen. Although a popular fashion accessory for the big day, this tie is just as suited for elegant office wear. 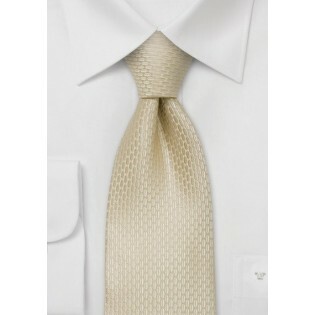 To match this cream colored necktie we suggest a suit in tan, brown, olive, or navy. One of our favorite looks for this tie: Navy blue suit with window-pane check pattern, slightly off white (ivory) dress shirt, and dark chocolate brown shoes. Handmade from pure silk by Parsley.